“Read Every Day, Lead a Better Life” is the mantra that Scholastic lives by. Scholastic, is the world’s largest publisher and distributor of children’s books and a leader in educational technology and related services and children’s media. Scholastic firmly believes literacy to be the birthright of every child and are committed to encouraging the intellectual and personal growth of all children beginning with literacy, the cornerstone of all learning, Scholastic are promoting the reading of the second novel in The Hunger Games Trilogy, namely Catching Fire, ahead of the November international movie release. Further activities will include reading and writing competitions in conjunction with high schools in the larger provinces as well as the general public via social media. 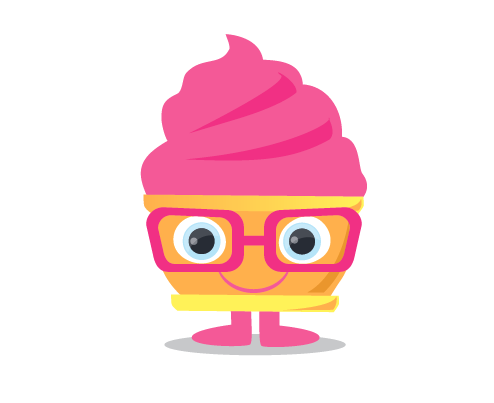 The competition will be targeting all the high schools in the three main provinces – i.e. KZN, Gauteng and Western Cape and looking to get as many schools on board as possible – Scholastic are hoping for a minimum of 6 – 12. The competition will be for the children to submit a paragraph – 300 words on how The Hunger Games relates to their own life, from what they have learnt from reading it. Each high school winner will receive a paperback copy of the 2nd book – namely, Catching Fire. A provincial winner will be chosen and will receive a VIP movie experience at a movie house closest to them that is showing the movie at end of the year, for 6 people (i.e. themselves + 5 friends) together with complimentary refreshments. In addition, each provincial winner will also receive a R 500 scholastic book voucher for themselves and a R 500 scholastic book voucher for their high school. Secondly – this competition will also run on Facebook on a similar principle – same entry of a paragraph – 300 words and each week a winner will be chosen who will win a paperback copy of Catching Fire. There will be an overall winner who will then also receive the VIP movie experience together with complimentary refreshments and a R 500 Scholastic book voucher. This way Scholastic hopes to reach other high schools and adolescents who are not in high school but are still interested in the trilogy. 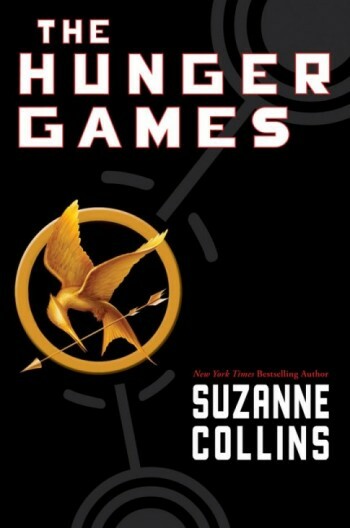 The Hunger Games is the award-winning and bestselling futuristic trilogy for adolescent readers (ages 12 to adult) by Suzanne Collins, confronting key themes relevant to adolescents in today’s society; war, violence, fairness, poverty and rebellion, to name a few. Catching Fire follows the story of sixteen-year old Katniss Everdeen an almost unwilling hero to the suppressed and traumatised inhabitants of Panem, who live in fear of The Capitol, its leaders and their power. It picks up where the first novel left off with Katniss and her fellow District 12 tribute, Peeta Mellark, having won the annual Hunger Games which should provide a life of safety and plenty for them and their families. But it was a victory won by defiance of The Capitol and their harsh rules leaving The Capitol angry and wanting revenge. With rumours of rebellion among the other districts, Katniss finds herself the face of that rebellion and once again needing to fight – not only for her own survival but for the survival and betterment of her family, friends and greater society. 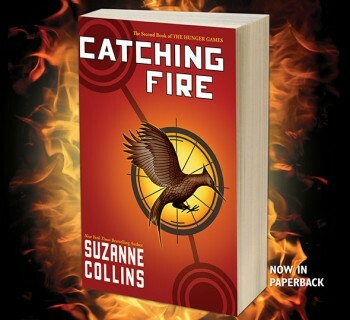 Throughout ‘The Hunger Games’ trilogy and again in this second novel, Catching Fire, Collins explores not only the effects of war and violence on those coming of age but other key themes relevant to adolescents in today’s society – fairness, relationships, greed, poverty, hypocrisy, subservience and rebellion. Her ability to combine these themes with suspense, adventure and romance has created a vivid and compelling future world with parallels to our present. Appealing to children and adults alike, it is providing adolescents with a powerful resource to discover more about themselves through contemplating their own society and role in the world whilst escaping between the pages of a suspenseful plot and non-stop action. Scholastic, publishers of ‘The Hunger Games’, have for over 90 years been delivering outstanding books, magazines and educational programmes directly to schools and families. Known for other popular titles such as Clifford the Big Red Door®, The Magic School Bus®, Goosebumps® and Harry Potter® and with a strong international presence in over 150 countries, together with a firm foothold in both the African and South African marketplace, Scholastic is committed to and passionate about the role of reading in the life of a child. They believe that literacy is the cornerstone of society and it is not only a right, but essential to a fulfilling, rewarding and successful life.